Qikmaps for Long Day Care is an industry-specific research tool, tailored to the needs of child care operators, developers and investors. 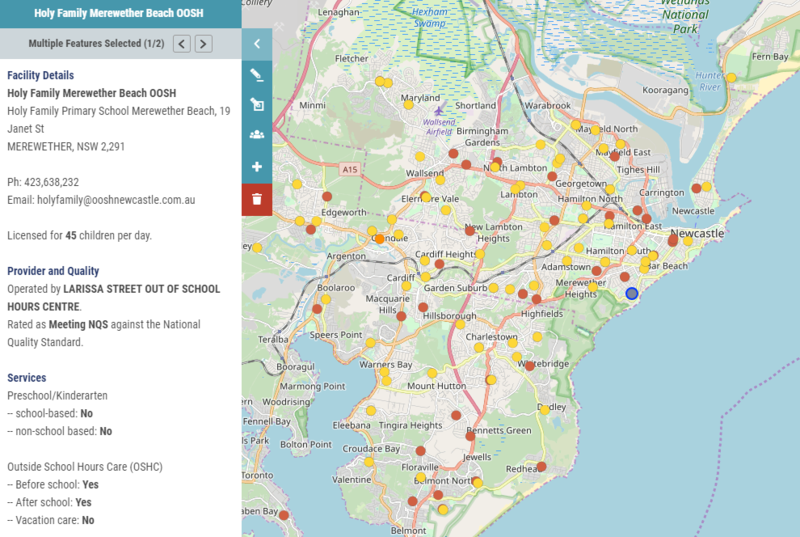 Qikmaps provides instant online access to Business Geographics’ curated national database of long day care centres and can be used to conduct a quick desktop appraisal of prospective sites. Detailed information for existing (and future) centres is provided including - location, size, age, provider and quality rating. The data is constantly updated in line with our on-going research program. Search for any address or long day care centre in Australia. ​Qikmaps requires only a browser and internet connection to use and can be accessed from any PC, laptop or mobile device. 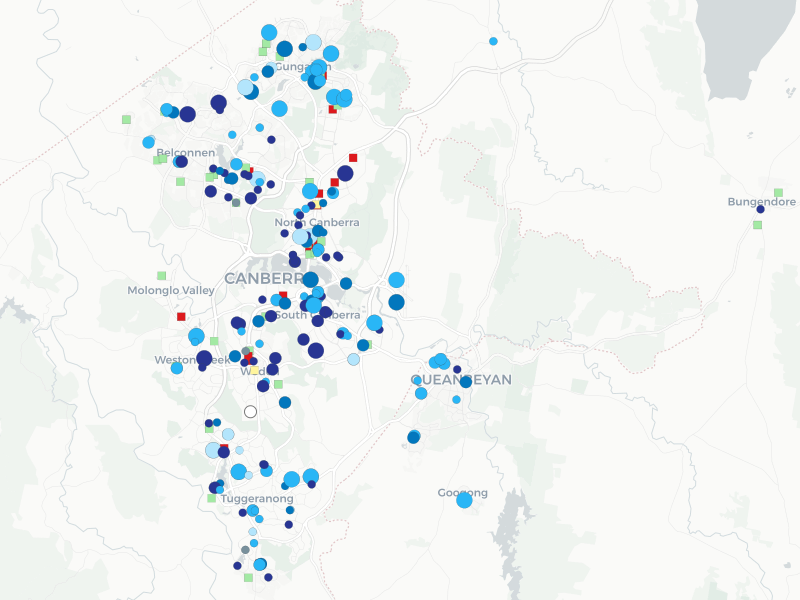 ​From Albury to Zilmere, Qikmaps has you covered. Available with a PRO or EXPERT subscription. 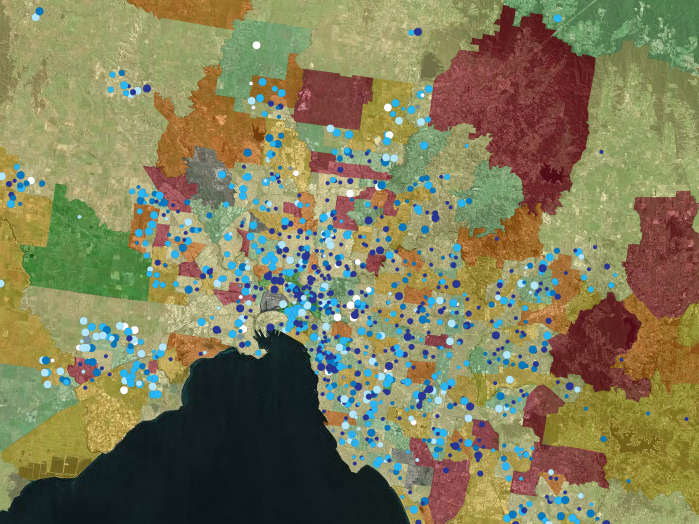 The PRO and EXPERT versions include Average Daily Fees and Occupancy by Statistical Area 2 (SA2) across Australia. Quickly identify which areas have the highest or lowest fees and where childcare availability is most or least accessible. Explore the market to find opportunities for centre acquisition or development. Access the latest demographic data by Area. 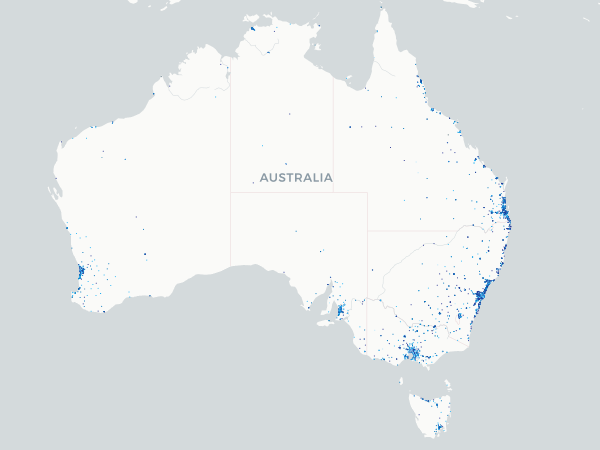 Qikmaps provides detailed demographic information and demand drivers across Australia. Data provided includes population characteristics, the number of children under 5, socio-economic status and the female labour force. 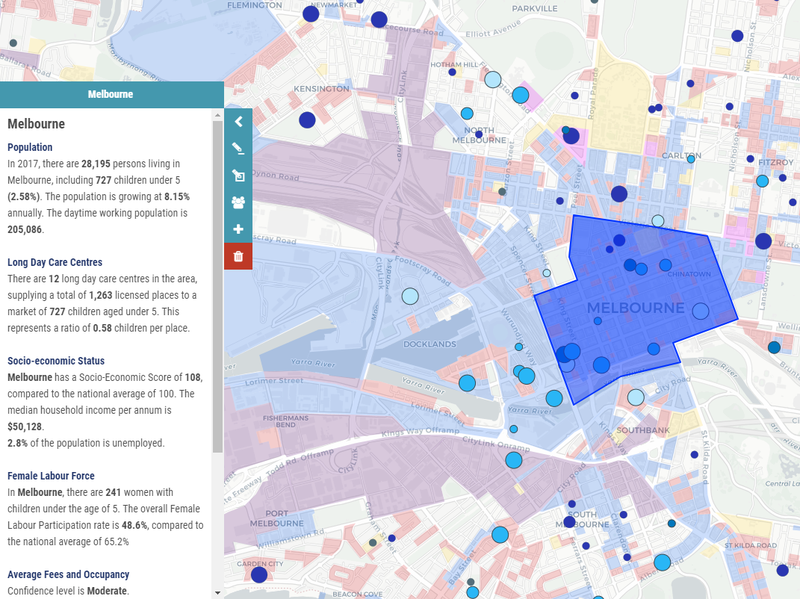 Maps showing the Ratio of Children per Childcare Place, Population Growth Rates and the distribution of children under 5 are also available at the click of a mouse. Available with an EXPERT subscription. Australia's childcare landscape is constantly changing, with new centres opening all the time. 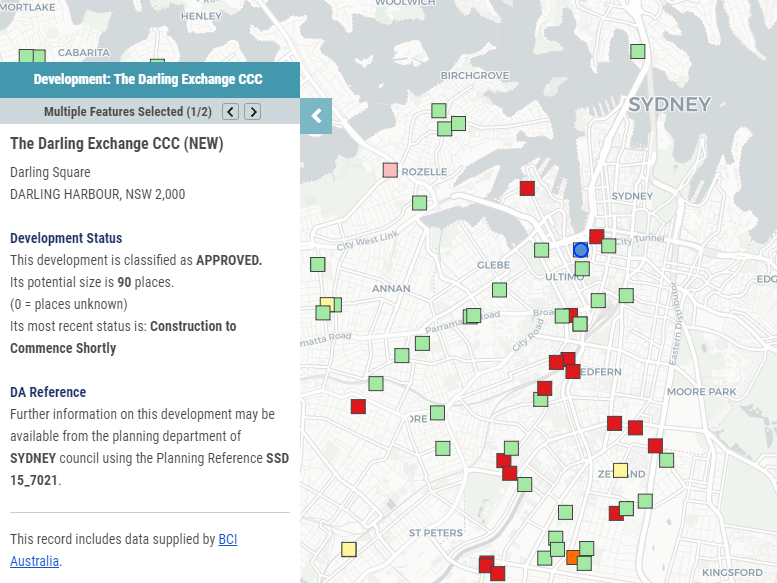 Stay ahead of the game, with access to proposed child care centre developments. 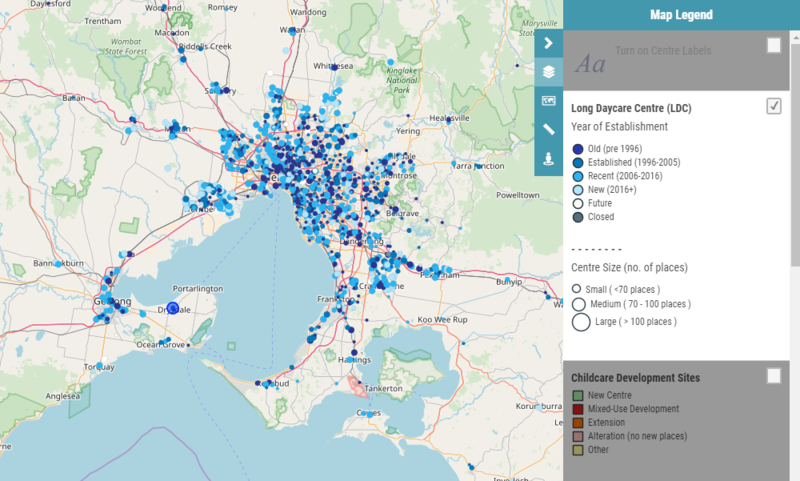 Qikmaps for Long Day Care provides details of the location, development status, and number of places for childcare centre development sites throughout Australia. This information includes data supplied by BCI Australia. PRO and EXPERT subscriptions include access to registered preschools, kindergartens, and Outside School Hours Care (OSHC) facilities. Families like to live near high-quality schools, and dropping the kids off at school is part of most parents' daily commute. 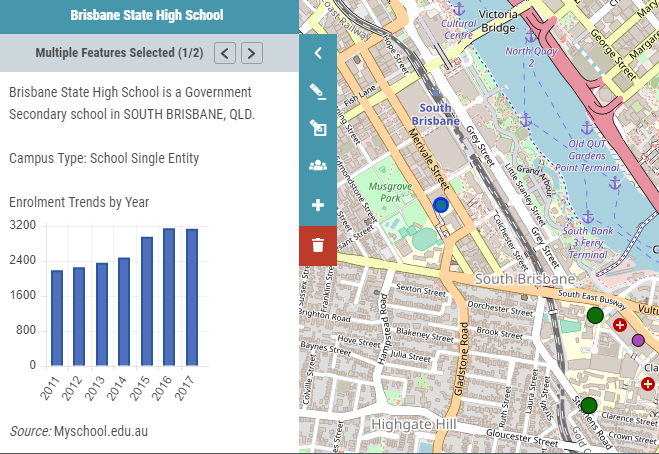 With school locations and enrolment trends, you can identify busy schools and locate your next childcare centre in areas that parents are already visiting every day. How many cars travel past your development site each day? With access to Average Annual Daily Traffic (AADT) counts, you can identify busy, high-visibility locations. Qikmaps provides a simple, point-and-click user interface, and runs in your web browser. There is no complicated software to install or learn. Qikmaps requires only a browser and internet connection to use and can be accessed from any PC, laptop or mobile device. Explore the features of Qikmaps in a free fully-featured demo. Download the Qikmaps for Long Day Care user guide. 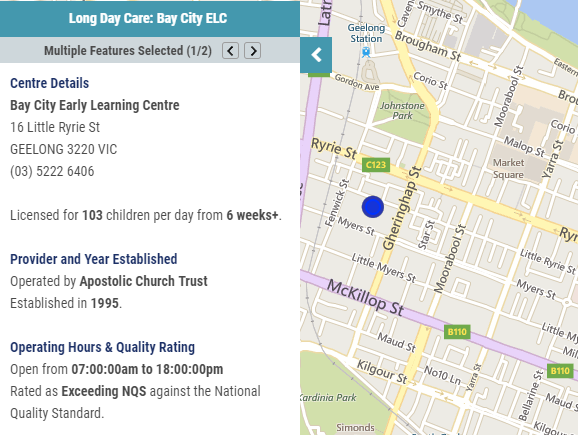 Download the Qikmaps for Long Day Care data glossary. Download the Qikmaps for Long Day Care brochure.